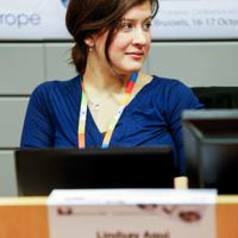 Lindsay Aqui is a second year PhD Candidate in history and politics at Queen Mary University of London. Her thesis, provisionally titled “An Exceptional Case: Britain, Renegotiation, Referendum and the European Community”, explores the UK’s relationship with the Community from entry in January 1973 to the referendum in June 1975. She is generously funded by Queen Mary University of London.